Q. How do I edit the Vancouver style in EndNote? I would like in-text citations to appear as superscript numbers and journal titles to be abbreviated in the reference list. The journal abbreviations are contained in the Medical Journals term list supplied with your EndNote software, and located in C:\ Program Files\ EndNote\Term Lists. 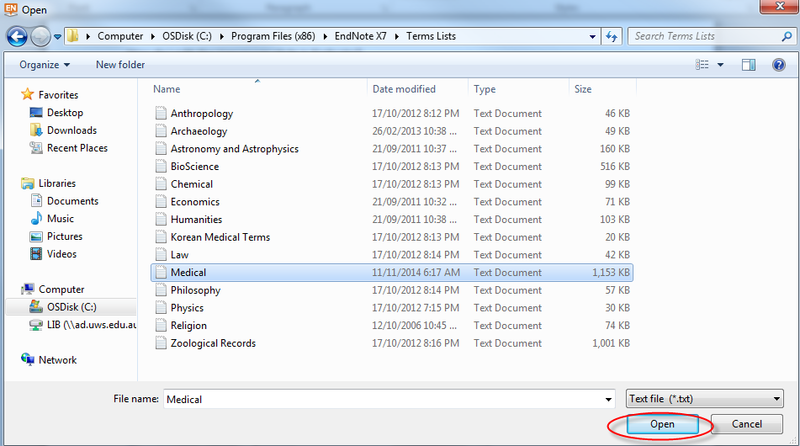 A Journals pop up box will appear with the number of terms inserted into the ‘Journals’ term list. Click OK then close the Term Lists window. Click on Journal Names from the left and choose Abbreviation 2 on the right within the Vancouver pop up box. While still within the Vancouver pop up box, select Templates to the left underneath Citations and highlight (Bibliography.Number) under Citation. Click on the capital A with a superscript 1 at the top then close the Vancouver window. Enter the Style name and click Save. 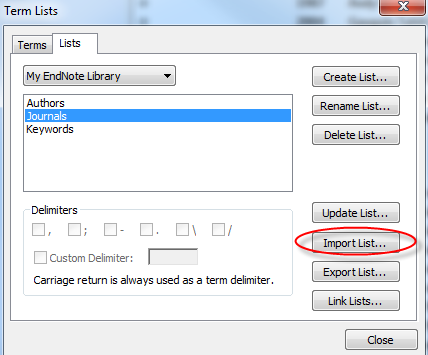 The edited style will now appear in your list of output styles within EndNote and Word. by saeideh on May 16, 2018.